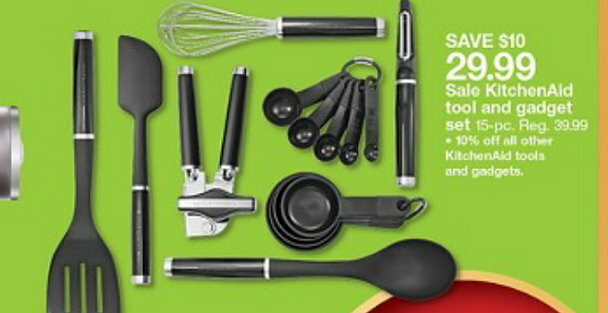 This week thru 12/8, Target is offering up some nice sales on Kitchen-Aid both in stores and online at Target.com. 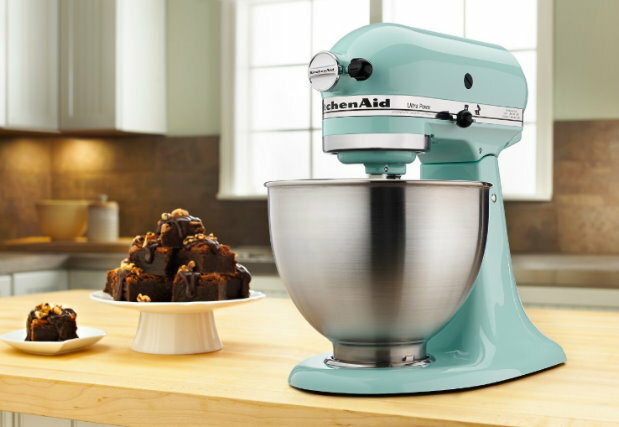 The KitchenAid Professional 5 Quart Mixers are on sale for 50% Off and available in four colors, but there’s lots of other sales including blenders, juicers, mixers, toasters, electric kettles & more. There’s also nice sales on gadgets, tools and accessories, including pasta drying racks, mixer covers, mixer attachments and more including this 15 Piece KitchenAid Tools and Gadget Set. If you are shopping online – shipping is FREE for everyone at Target.com right now with no minimum, and as always, if you have a REDcard you will also get an additional 5% Off.